Escape the modern world and take a two-day tour of the essential sites of classical Greece: Epidaurus, Mycenae, Nafplion, and Olympia. Visit some of the most impressive UNESCO archaeological sites, discover the glory of classical Greece and learn all about the Olympic games. Transportation, professional guide, A class or T class hotel accommodation, entrance fees, breakfast, and dinner are included per itinerary. 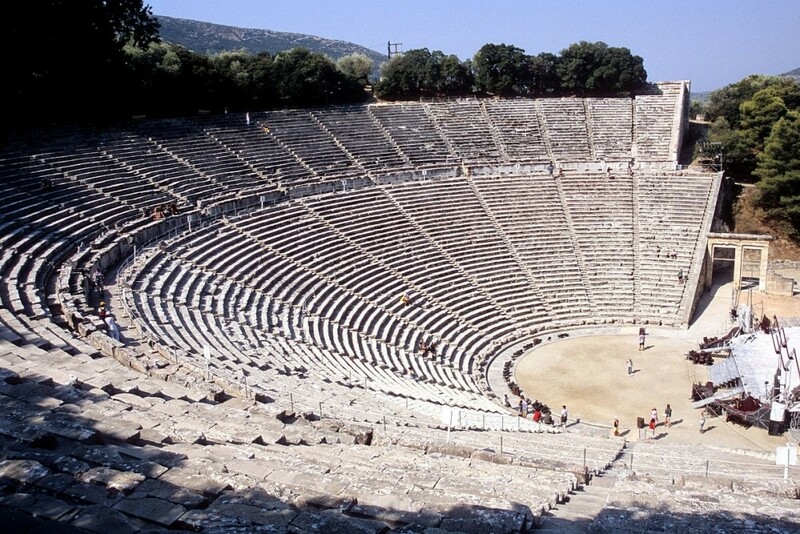 Experience the glory of ancient Greece on this 4-day trip from Athens. Visit important UNESCO World Heritage sites including ancient Olympia and Delphi, and overnight stay at Nafplio, the first capital of modern Greece. The tour includes transportation by luxury air-conditioned bus, professional guide, breakfast and dinner each day, entrance fees and choice between 3* or 4* hotel accommodation according to your budget. Led by a professional and passionate guide, visit Greece's most important UNESCO-listed sites such as the mythical site of Olympia, the Temple of Apollo in Delphi famous for its oracle and Mycenae, home to the kingdom of King Agamemnon. Venture out on daytime adventures to the impressive sites before enjoying your evenings in relaxed, A class or T class accommodations, based on your choice.